The movement toward "zero waste" and higher recycling targets is alive and well in many cities around the country, despite recent commodity market uncertainties. In fact, five of them expanded their curbside lists as others are cutting back. So far, the feeling among some in the industry has been that it's best to pause any changes and focus on education until the full effects of China's import policies are known. In a few cases, mainly on the West Coast, service providers have actually begun reducing the materials they will accept. Others say that market fluctuations are normal and the recycling progress must continue. Expansion and contraction of recycling lists isn't uncommon, but changes are never made lightly. Adding materials to a recycling program means finding new end markets and developing clear communication campaigns for residents and businesses. Likewise, just because items are dropped from a program doesn't mean that the message will get through immediately. Any alteration to recycling habits can take time and may bring contamination complications in the short-term. Here is how five local governments announced their own expansions this fall. San Francisco has been one of the earliest and most ambitious adopters of new recycling programs in an effort to reach its goal of "zero waste" by 2020. The city's Department of the Environment had been discussing a recycling expansion for multiple years and this became possible after service provider Recology completed a $11.6 million upgrade of its Recycle Central MRF in 2016. Peter Gallotta, public relations and information coordinator with the agency, said the list announced in October included every possible new item based on thorough consultation with Recology. That announcement was paired with plans for smaller refuse carts to curb San Francisco's waste generation rates. The only notable category the city wanted to include, but couldn't due to lack of end markets, was the polyester film commonly referred to by the brand name Mylar. "If brand owners and manufacturers made their products recyclable or compostable and provided the market pull to incorporate recycled content, we would be able to shift more materials into our recycling and composting programs," wrote Gallotta in an email. San Francisco residents and businesses will be seeing a range of educational messaging over a multi-year period, and contamination is a priority. The agency deferred to Recology about whether this was a greater concern in light of China's newly proposed 0.3% residue specifications. David Hudson, Recology's director of sales and marketing, said the company did careful calculations about the available markets and potential contamination issues. "Recology is known by and large as having some of the best materials in the country," said Hudson. "We're not having to adjust to the same degree that others are." Hudson said that a talented team of commodity experts, and a diversity of markets, is "key to our success." Though he recognized that the 0.3% specification, if enforced, will require more work and could force many people to change the way they operate. In 2014, a local law was passed directing the District of Columbia's Department of Public Works (DPW) to issue a new streamlined residential and commercial recycling list. This was also seen as an opportunity to add new material. A parallel law began requiring food service establishments to only use recyclable or compostable materials as of January 2017. According to Annie White, manager of DPW's waste diversion office, this research process began in the spring of 2016. The department surveyed eight regional MRFs about their preferences on an estimated 70 materials. The new list was technically published in December 2016, but the city has recently begun promoting its Zero Waste DC initiative this fall ahead of the official January 2018 effective date. Since then, of course, the commodity landscape has changed. "Obviously, the market was in a little bit different place in 2016 than it is currently, but there is a mechanism in place to make shifts," said White. "This is something that we are, and every municipality is, watching closely." "I think that there's always a concern when you introduce a new material or a new product into the recycling stream. You want to make sure that's going to be a value to the community, to the MRF, to the mill or the plastics reprocessor," said FPI President Lynn Dyer. FPI also facilitated expansions for Louisville and Chattanooga. Dyer stressed the amount of research that went into proving markets for materials such as paper cups or pizza boxes that are commonly seen as not easily recyclable. She has helped make that case to the cities, and more recently served as a reassuring voice to say that China's new policies wouldn't directly affect this relatively small portion of the overall material stream. "The last thing we want to do is have people put materials into some sort of recycling stream that's just going to end up at a landfill," said Dyer. In Louisville, FPI and consulting partner RRS did much of the upfront work, talking to the city's MRF partner QRS Recycling to make sure it could take these new materials. According to Karen Maynard, public education coordinator for Louisville's public works department, this guided the communications strategy for residents. While initial language asked for "clean" and "empty" material, there was some concern this might seem too inconvenient. So instead, the city decided to focus more on the "empty" angle. QRS will help measure the success of this multi-month campaign by comparing results to a a baseline audit. While QRS may have already been receiving some of these take-out items, and had markets for them, residents didn't necessarily know that. This new education campaign is intended to raise awareness among residents that they can recycle many of the common items in their lives. "A lot of the stuff comes together if you have take-out," said Maynard. "They helped me promote not only take-out containers, but all of recycling." Chattanooga also sees this expansion as an opportunity for broader recycling education. The topic is a growing part of the curriculum for local students ranging from Head Start programs up through high school. "For us, this is a curbside recycling push," said Jeanette Eigelsbach, director of Scenic Cities Beautiful. "By educating and engaging those individuals to recycle more of the right things the right way, we can then help make the recycling more economically viable." Both Louisville and Chattanooga largely rely on more domestic end markets, but are still affected by overall commodity prices. In Chattanooga, local MRF operator WestRock is an FPI member and was similarly open to collaborating on a program expansion. 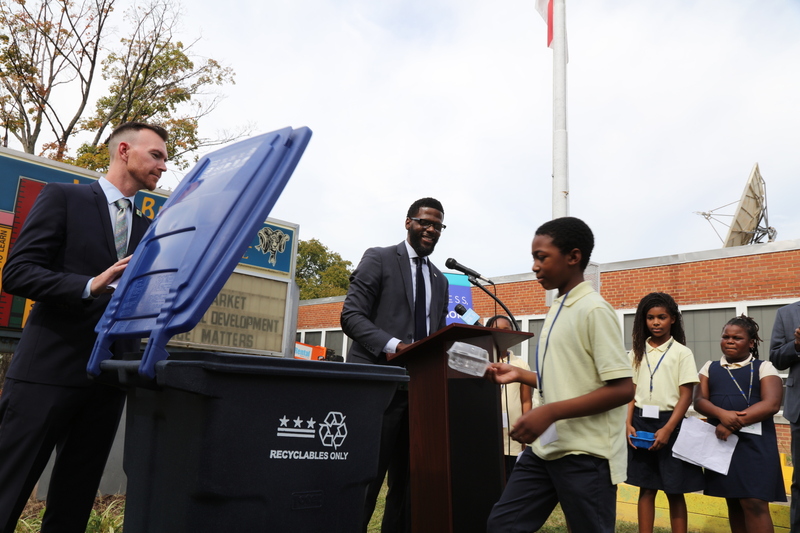 As is the case at any MRF, reducing contamination is a top priority and this new education campaign was seen as a chance to make sure residents were doing the right thing with all their recyclables. Like San Francisco, Boulder County's recent recycling expansion was aided by a MRF upgrade. Long-time operator Eco-Cycle, which was recently awarded a contract extension, first raised the potential value of installing new optical sorting technology back in 2011. According to Darla Arians, division manager of the Boulder County Resource Conservation Division (BCRC), this was factored into the list of upcoming capital projects and eventually came to fruition this year. 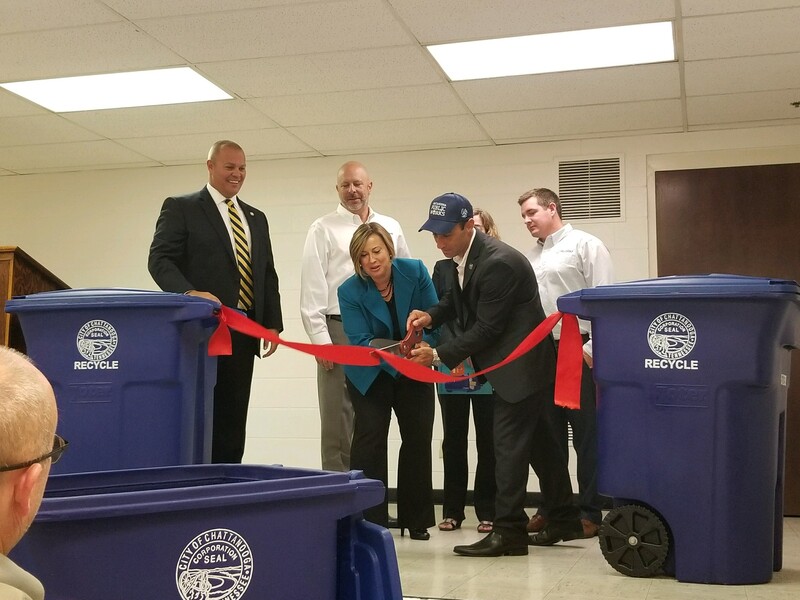 Using funds from a previously collected sales tax for recycling projects, BCRC completed a $2.8 million upgrade this summer. That has helped reduce labor costs and expanded the range of acceptable plastic materials. Eco-Cycle had long received questions about why they couldn't take plastic clamshells or yogurt lids, so this expansion was a welcome one. Other items, such as plastic cups and film plastic, were considered but didn't make the cut due to sorting. Suzanne Jones, Eco-Cycle's executive director, noted that black plastic has to be picked off the line by hand but is still accepted. Both Arians and Jones talked about the shared mission to strive for "zero waste" in Boulder, and how that entailed advocating for change in packaging design. This also means ongoing education across a wide range of platforms. Now that Colorado has established its first-ever statewide recycling goals, that conversation may receive even more attention. A core part of this mission is to create high-quality bales and utilize domestic end markets whenever possible, but also be transparent about market shifts. "We include this education because we want our haulers, residents and interested citizens to understand that our recycling center is impacted by the global recycling markets. As much as we are in the clean Boulder bubble, and mostly protected from the Sword, it’s still imperative to understand the global perspective," wrote Arians in an email. Jones shared similar thoughts, with a positive spin on what this could mean for local programs around the country. "Regardless of what China is doing, the purpose of the BCRC, which is to move our community closer to Zero Waste, doesn't change," she wrote. "Further, on the positive side, perhaps China's new policies could potentially serve as a catalyst to develop more robust domestic recycling markets and create more jobs here in the United States."